A million dollar question for sure! Many of us do not have the answer to this question. As a student, when we were asked about what the goal of our lives were, we would simply shoot out answers like doctor, engineer, chef, architect and so on. The question is how far have we come? How far are we to go? How long will it take? Are our ambitions and passion still the same? Well, good leaders just know the way to get there and to get there they know that they have to continuously keep asking people what they want and what they wish they had or achieved. This is to ensure that they know their team mates just well and they know what the potential of each team mate is. Understanding someone with the answers they give to certain trick questions is perhaps the easiest way to get to the nuances of that person. To know something, we ask! To learn something, we ask! To do something, we ask! We ask to get there- to get to the point where we are asked! Asking people what they want to do with life is perhaps one of those questions many people will not have an answer to and by doing so, we simply get to know them better. “Children learn by asking questions. Students learn by asking questions. New recruits learn by asking questions. Innovators understand client needs by asking questions. It is the simplest and most effective way of learning. People who think that they know it all no longer ask questions – why should they? Brilliant thinkers never stop asking questions because they know that this is the best way to gain deeper insights”. Eric Schmidt, CEO of Google, once said, “We run this company on questions, not answers.” He knows that if we constantly keep asking queries we can keep finding better answers. New ideas and innovative imaginations that can later bloom into becoming an amazing product or reality comes from someone somewhere asking questions! 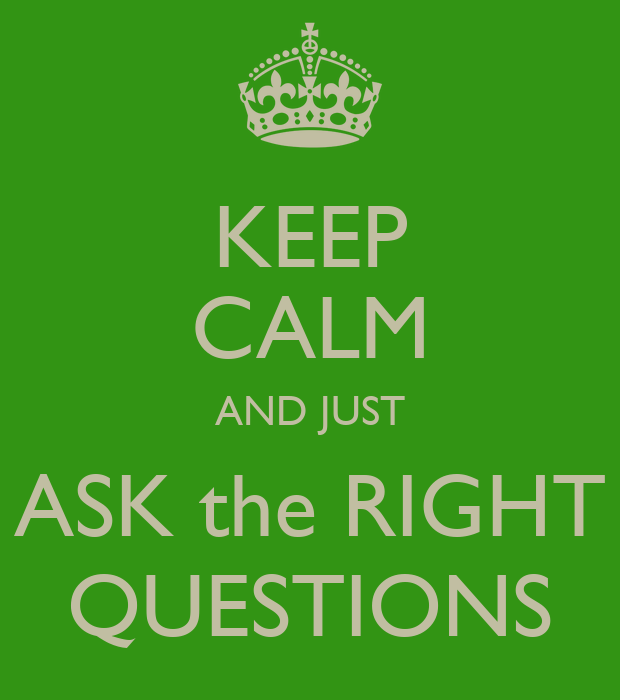 Leaders must make sure that they are asked questions and they ask questions. The same holds good for teachers and students. A classroom is never a classroom in its full sense where there is no interaction between the teacher and the student. A teacher is successful if she is able to build a class with more questions than answers. The same is for a corporate company where there is a team, a leader and a task. The task is complete when the leader understands his people better and ask them what their future goals are! SHARE - You must ask!